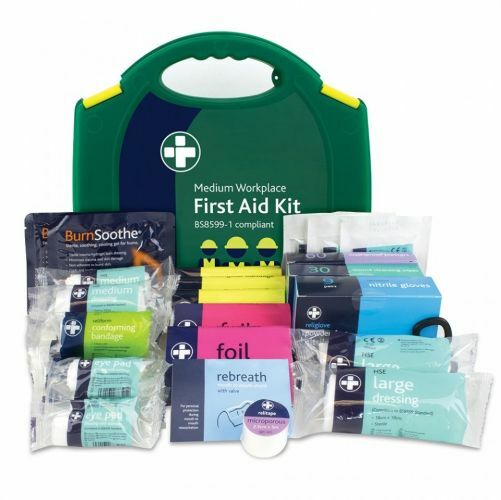 The first new standard for Statutory First Aid Kits in the workplace since 1997, these kits reflect the changes in both workplace practice and risks, making them demonstrably more 'fit for purpose' in todays environment. For peace of mind, the provision of a kit with this updated content is now the only clear and definitive way for employers to demonstrate they are serious about meeting their legal obligations under the Health and Safety First Aid Regulations. BS8599-1 compliant.